Service Provider of a wide range of services which include asset management software solutions, fixed asset depreciation management software and sales force automations. Asset Management Software Solutions hold vital investments of businesses and are responsible for generating revenue in the future. This drastically increases the importance of tracking & monitoring the asset details in an efficient manner. Having an immense industry experience and using modern tools and techniques, we provide cost effective Eazy Asset software solutions that help in effective tracking as well as maintaining records of various details pertaining to Fixed Assets, viz. Besides all this various user defined dimensions of an asset can be added in the system. Shifting, Sale, Discard, Split and other events related to an asset can be recorded. Further, it enables proper Asset Management, as it records the annual maintenance contracts, warranties, insurance details and provides timely alerts regarding the same. The bar code labels printing and scanning feature helps in maintaining the records of physical verification of individual assets. Moreover, Eazy Asset also covers all statutory aspects of Depreciation calculation. It calculates depreciation as per the Companies Act as well as Income Tax Act, retrospective change in rate/method and block wise depreciation as per income tax act can also be initiated. Along with two statutory depreciation books, two additional user defined depreciation books can also be created. 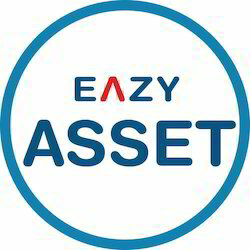 Eazy Asset offers more than 50 Standard & many other Real-Time User Defined reports ranging from fixed asset schedule to asset register. Besides this, easy-to use query builder helps user create other reports as per their core requirements. Most of the reports are provided in varied ranges and filter selection facility. The reports can be easily exported to popular formats such as MS-Word/Excel. We have introduced Eazy Asset to our esteemed clients, so that the procedure of calculating and maintaining Fixed Asset's depreciation doesn't demand spending long hours on a calculator. Just one click and our users will get access to the required information, within minimal time. Eazy Asset Management Software, offered from our end is a powerful & effective depreciation calculation system, apt for all the depreciable assets to be taken care off. Using this methodology, depreciation calculations can be performed with ease & convenience, as required for books and taxation needs. While using this particular solution, each & every asset could be tracked individually, by the process of controlling and verifying the fixed assets portion of specified financial statements. Our offered management solution works automatically, computing the depreciation on various assets in accordance with Income Tax and Companies Act. It make users' work hassle-free and enable them to group the assets all together, inclusive of category & blocks, resulting in block wise depreciation . In the specified system, we have offered three prominent methods to be used for calculating depreciation named as WDV, Straight Line Method & Life of the Asset Method. 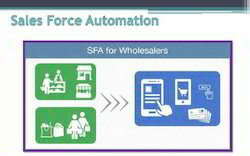 The most interesting feature integrated with this system is of Tally Integration capabilities. 100% data synchronization with Tally is possible here and for the reason, automatic posting of all the depreciation calculations can be performed conveniently, under relevant ledger heads in Tally.